Wednesday, March 12 at 5:30 pm, Chilmark. "Genetic Roulette: The Gamble of Our Lives" showing at the Chilmark Library. Presented by Slow Food M.V. For more info, call (508) 645-3360. Saturday, March 15 at noon, Chilmark. 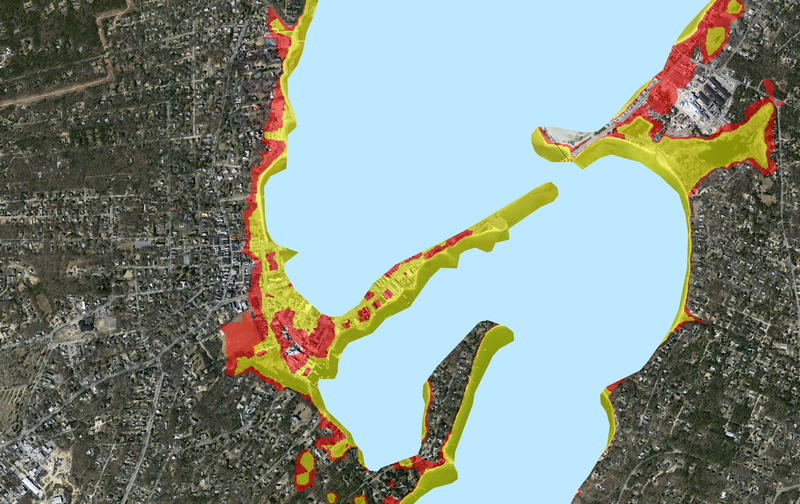 What will a rising sea do to our homes and the survival of our community? Can we afford to pile enough sand on our shores to keep the ocean at bay? Join Director Ben Kalina, Prof. Ben Horton of Penn, and Richard Houghton, President of Woods Hole Research Center for a discussion after the film. Co-sponsored by VCS, the screening is part of The MV Film Festival at the Chilmark Community Center this weekend (tickets and info). Thursday, March 20, 6:30 pm, Oak Bluffs Library. Sunday, March 23, 1:00 to 3:00 pm, Chilmark. Join The Trustees of Reservations for a guided hike at one of their conservation-restricted properties near Squibnocket Beach. $10 (free for members), reservations are required. Call (508) 693-7662 to register and for more info. Saturdays, 10:00 am to 2:00 pm, West Tisbury. 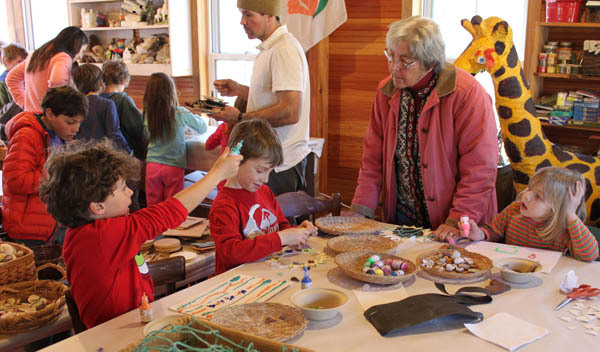 Each Saturday the Long Point Visitor Center opens their doors for a variety of free self-guided educational programs for kids and families. A TTOR educator will be available to answer questions and help your family get started. See flyer for details, or email for more info on the program. For preparation, see the N.Y. Times recipe. An enthusiasm for nature can almost always be found, if you know where to look (Photo by Signe Benjamin; click for slideshow). 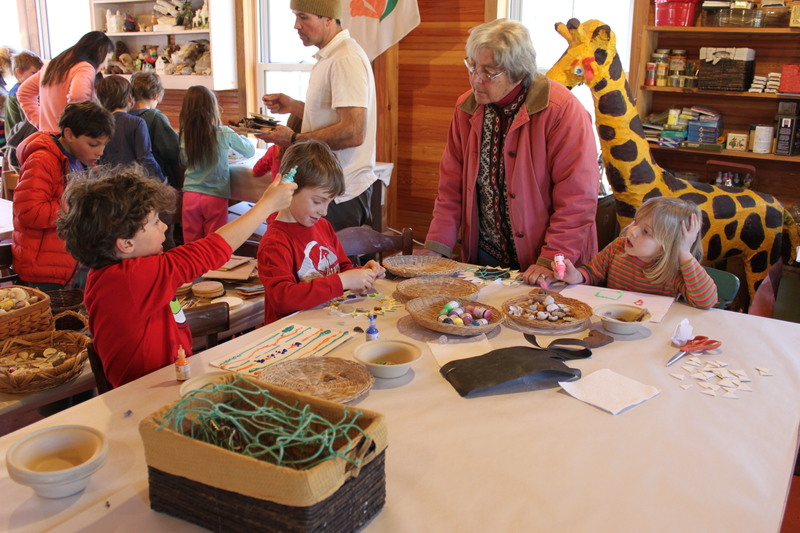 For our last Winter Walk of the season, about 30 kids (and kids at heart) joined us at Sense of Wonder Creations, where Director Pam Benjamin helped turn the flotsam and jetsam of the West Chop beaches into found art and engaging experiences for all. Thanks to the VCS members, board, and staff, our partner organizations and volunteers, and the scores of attendees who have helped make this year’s Living at Sea Level series of walks a success. After a winter of walking at sea level, why not take a short rest before the Earth Day Beach Clean-Up on April 19 – and in the meantime, Join VCS! Member support makes all of these events possible. In their recent letter to the editor, Mas Kimbal and Chris Riger of the local climate advocacy group 350 MVI refocus the attention on the proposed expansion of the Vineyard Haven Stop & Shop store toward the impacts of climate change. Echoing VCS testimony to the Martha's Vineyard Commission in January, their letter points both to the impacts of the project on carbon emissions and to the issues that arise from undertaking major developments directly in the face of rising sea levels. Thank you, Mas and Chris, and 350 MVI, for helping spread the word about climate change impacts on our island. The proposed store would be located at the approximate site of the existing Stop & Shop, near the center of this map. 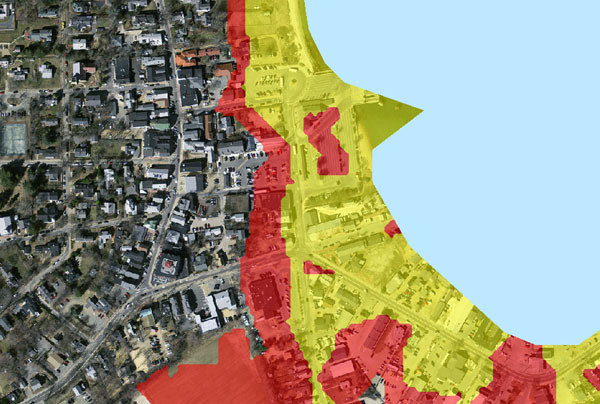 Sea level rise is an important issue in regard to any proposal here: areas in yellow are below 3.3 ft of elevation, areas in red below 6.6 ft. Click map to enlarge (caution: it is very large). Thanks to Chris Seidel and Phil Henderson for the image. A well-established strategy to reduce nutrient pollution in our estuaries is the addition of more shellfish. What if we also added more estuaries? Ambitious in scale, yet incredibly simple in concept, a new strategy for controlling eutrophication (pollution by excessive nutrients, principally nitrogen and phosphorus) of coastal waters has taken hold in Sweden: construction of artificial wetlands to absorb and hold runoff before it reaches the shore. In recent decades, wetland construction has sought to reverse centuries of their intentional elimination through land reclamation projects. And it appears to be working, perhaps better than expected. A recent study demonstrated that in addition to being generally effective for their intended purpose of reducing nutrient pollution, constructed wetlands have also improved biodiversity to the point that several species are no longer threatened with local extinction. The boost to biodiversity is surprising, at least to the extent that it is occurring within the engineered wetlands themselves (and not through rejuvenation of existing natural estuaries). An artificial wetland would not seem to be prime habitat: there is no preexisting biota, so all the plants, animals, and microbes need to colonize (or be introduced) and establish their ecological ties from scratch; worse, invasive species could be expected to dominate, as an affinity for disturbed habitats is one of their hallmark traits. Finally, if you build a new wetland between the source of the nutrient runoff and the presently polluted natural body of water, won’t it quickly become eutrophic itself? And that is perhaps what is most peculiar, yet ingeniously simple about this plan. In many cases these constructed wetlands may be destined to be sacrificial estuaries – created for the purpose of taking on the damage that would have otherwise gone to a natural body, and always expected to be poor quality wetlands in their own right. On some level, this is the nature of estuaries, or at least the human interaction with them: Situated at the margin of land and sea, in a state of nature they support a resilient ecosystem that thrives under constantly changing temperature, salinity, and nutrient availability. But in a state of human development and pollution, the estuaries serve to buffer both land and sea from our impacts. Runoff from the land – excessive nutrients, but also toxic pollutants – is filtered out, leaving cleaner water. From the other direction, wetlands provide a crucial brake on the energy of storm surges, increasingly important as sea level and storm frequency rises. That is an indisputably valuable “ecosystem service” (to borrow a term from the recent movement to monetize nature), but considering that many estuaries are critical habitat in their own right, the time has come to protect the protectors.